Eduardo Gentil is a senior advisor and partner at Cambridge Advisors to Family Enterprise, a highly specialized, international advisory firm serving family enterprises. He is a fellow at Cambridge Institute for Family Enterprise, a leading education and research institute on the issues family enterprises face. Both organizations comprise Cambridge Family Enterprise Group, a global organization founded in 1989. It is devoted to helping families achieve multigenerational success for their families, enterprises, and financial wealth. Since 2009, Mr. Gentil has led the Brazil practice at Cambridge where he advises family-owned companies of diverse sizes and industries, many of which are transitioning to sibling ownership (often second generation) or to cousin ownership (often third generation). He assists families in Latin America and throughout the world on a range of issues, particularly family and ownership governance, shareholder agreements, establishing boards of directors for privately held businesses, financial planning for families and businesses, and succession planning. Mr. Gentil is a speaker and instructor on family enterprise best practices at conferences, education programs and private family meetings around the world. He is a facilitator in the Future Family Enterprise: Sustaining Multigenerational Success program at the MIT Sloan School of Management, an innovative new program for multigenerational families to prepare themselves for the future. For several years, Mr. Gentil served as a facilitator and guest lecturer at Harvard Business School’s “Families in Business” program. He has taught family governance and the role of capital and financial policy in family-owned businesses at INSPER, a leading university in Brazil. 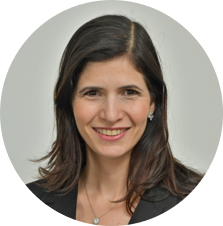 His article, Financial Policy from the Shareholder Perspective (with Belén Villalonga) explores the elements of a comprehensive financial strategy for owners of family companies (Cambridge Institute for Family Enterprise). He is writing a book on financial strategies for family-owned enterprises. Earlier in his career, Mr. Gentil was an investment banker, holding positions with J.P. Morgan in New York and Goldman Sachs in New York and Brazil. He served as president of Visa of Brazil’s operations and also served as Chairman of Visanet, one of Visa’s largest companies globally. Mr. Gentil earned his M.B.A. from the Stern School of Business at New York University and his B.A. from Princeton University in History and Economics. He is fluent in English and Portuguese.